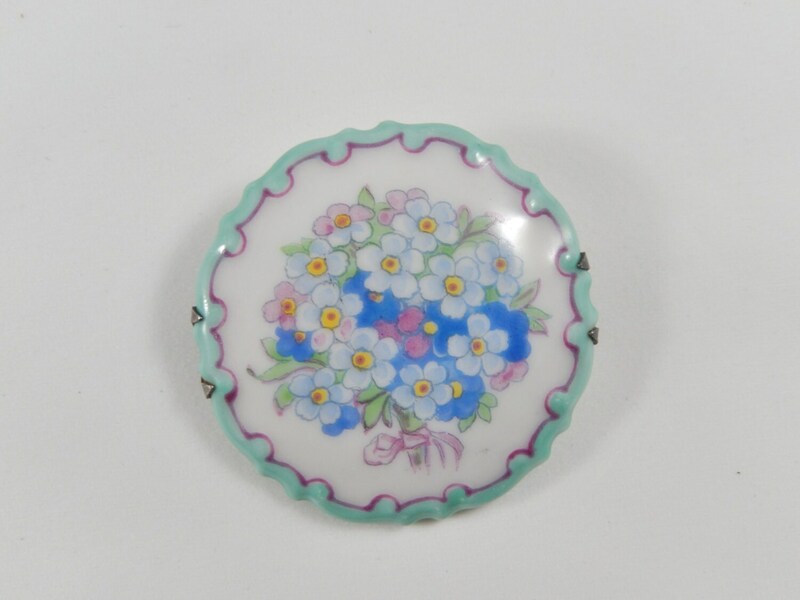 This is a lovely handpainted porcelain flower brooch signed Rosenthal Marktredwitz Germania. It is probably from the 50s and is a handpainted bouquet of blue flowers tied at the bottom with a pink bow. The border is a scalloped edge of a turquoise color outlined in maroon. The back has a silver bar with a pin that fits under a clasp. 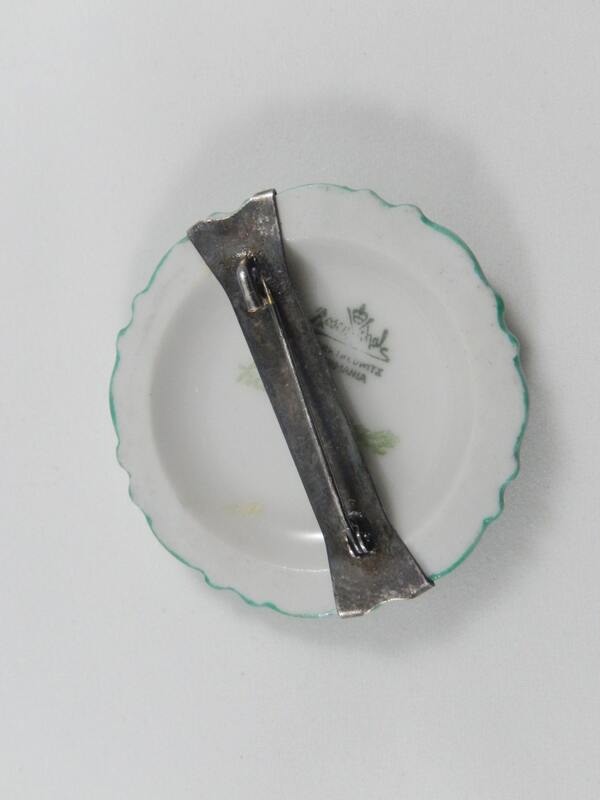 It measures 1 3/4" in diameter. It would be a great spring pin for a sweater.